"To C.S.A.A. 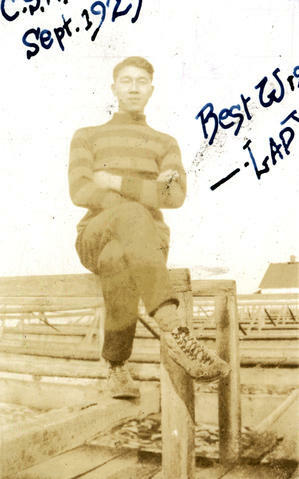 [Chinese Students' Athletic Association] Sept. 1925, Best Wishes -- Lap Yip"
Image is faded. Staining on emulsion. 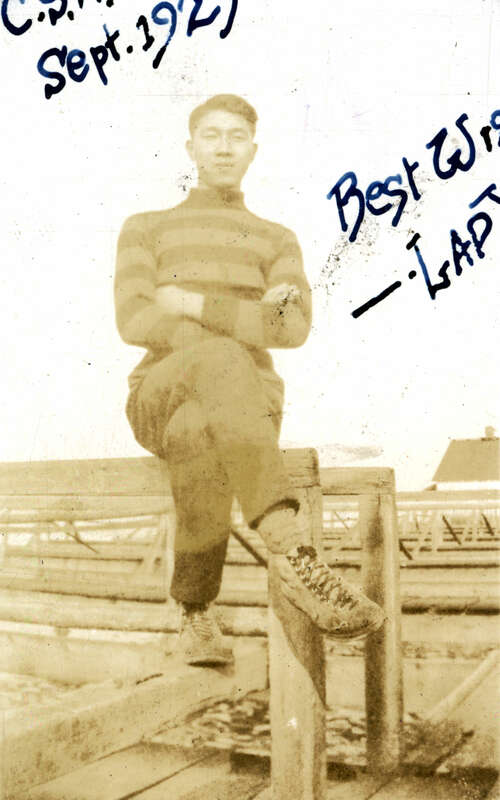 Inscription written on image in ink. Photograph is mounted to an album page using photo corners.